The Gander RV Duel is a pair of qualifying races that will determine the bulk of the field and starting lineup for the 2019 Daytona 500 (Feb. 17, 2:30 p.m. ET, FOX, MRN, SiriusXM NASCAR Radio). NASCAR.com offers a look at how the twin qualifying races (Feb. 14, starting at 7 p.m. ET on FS1, MRN, SiriusXM NASCAR Radio) work and how they impact the Daytona 500. There are two 60-lap, 150-mile races. The drivers in each Duel are determined based on qualifying speeds from single-lap qualifying runs Sunday. How do the Duels set the Daytona 500 lineup? Drivers in the first Duel race will line up on the inside row for the Daytona 500 (odd-numbered starting position), based on the order in which they finish the first Duel race. Drivers in the second Duel race will line up on the outside row for the Daytona 500 (even-numbered starting positions), based on the order in which they finish the second Duel race. Remember, all Charter teams are guaranteed spots in the Daytona 500. How can Open Teams make the Daytona 500? Two Open Teams will make the field as a result of being the best finishing Open Team in each Duel. Open Teams that have not yet become eligible for a Daytona 500 starting grid position will become eligible for remaining starting grid positions, if any, based on final qualifying results, per the rule book. How important is the Duel for drivers locked into the front row? While a Duel win doesn’t put you in the playoffs, the top 10 drivers in each Duel will earn points heading into the Daytona 500. Drivers locked into the front row of the Daytona 500 need to avoid any sort of calamity in the Duels to keep their starting spot. 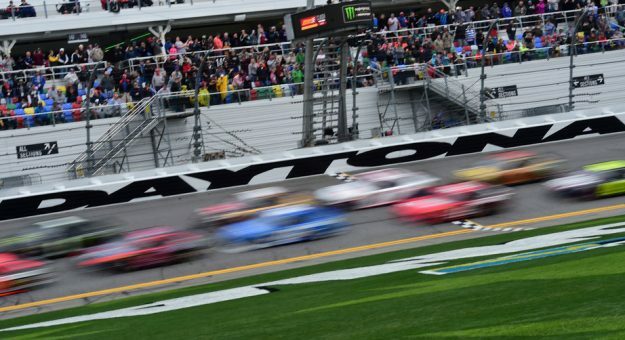 With qualifying day so early in Speedweeks and a multitude of practices leading up to the Daytona 500, wrecks resulting in backup cars, engine changes and more are all likely to pop up at some point to affect the green-flag order once on the grid. It’s similar to stages in the 36 Monster Energy NASCAR Cup Series points races. The winner of each Duel will get 10 points, down to the 10th-place driver, who will get one point. Two drivers — each Duel winner — will head into the Daytona 500 with a share of the points lead. What if the Duel is rained out? If both Duels are canceled due to weather, officials will use qualifying results to determine the four Open teams that would advance. Should only the second Gander RV Duel be canceled due to weather, the highest finishing Open team from the first Duel would earn a starting berth, with the remaining three positions determined based on qualifying results. In the event of a complete rainout of the Duels where the event is not rescheduled, the full field will be set according to the NASCAR Rule Book.